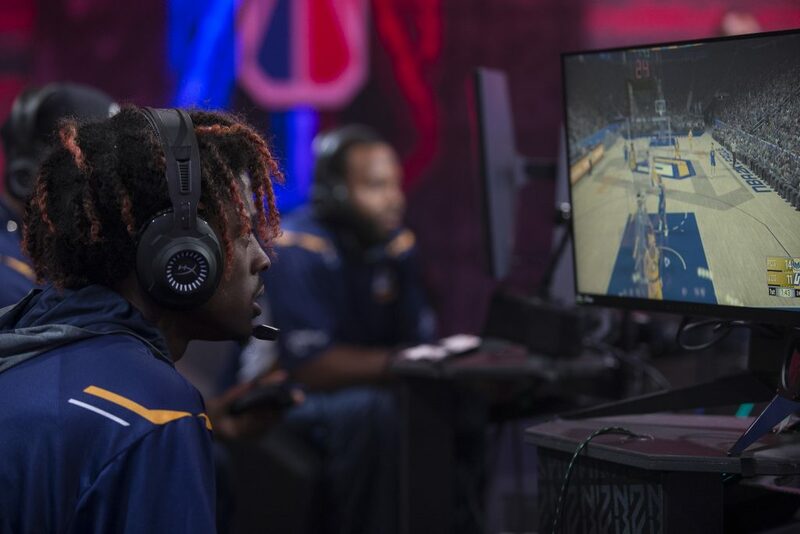 Pacers Gaming overcame an early deficit to pick up a 76-60 win over Jazz Gaming on Saturday afternoon in the NBA 2K League. Jazz Gaming (5-5) came out the gate fairly hot and attempted to set the pace early and often. This resulted in a slight 15-14 lead after the first quarter that they then extended to a 23-14 lead in the opening moments of the second quarter. It was at that point, however, that everything came flying apart at the seams for Jazz Gaming. With the introduction of Shockey into the lineup for the first time this season, Pacers Gaming (4-6) shook off the early deficit and played some of the best 2K that we’ve seen in quite some time. Whether it was the fact that Jazz Gaming simply had no tape on the fresh center or whether Indiana felt more confident with him in the lineup, Pacers Gaming were certainly on another level in this game. They ended the game on an impressive 62-37 run to completely blow Jazz Gaming away by the game’s end. The change in center wasn’t the only boon to this team, however, as it also opened the floor for both Swizruk and WoLF 74 to shine. Swizurk was a forced to be reckoned with from all over the floor as he lit up the scoreboard with jumper after jumper, resulting in 24 points on 9-of-16 shooting. For the struggling WoLF 74, he was back at point guard for this game and it paid off with 13 points and a whopping 16 assists. This was all on top of the strong 19-point, eight-rebound performance that Shockey put up in his debut to power Pacers Gaming to a much-needed win.